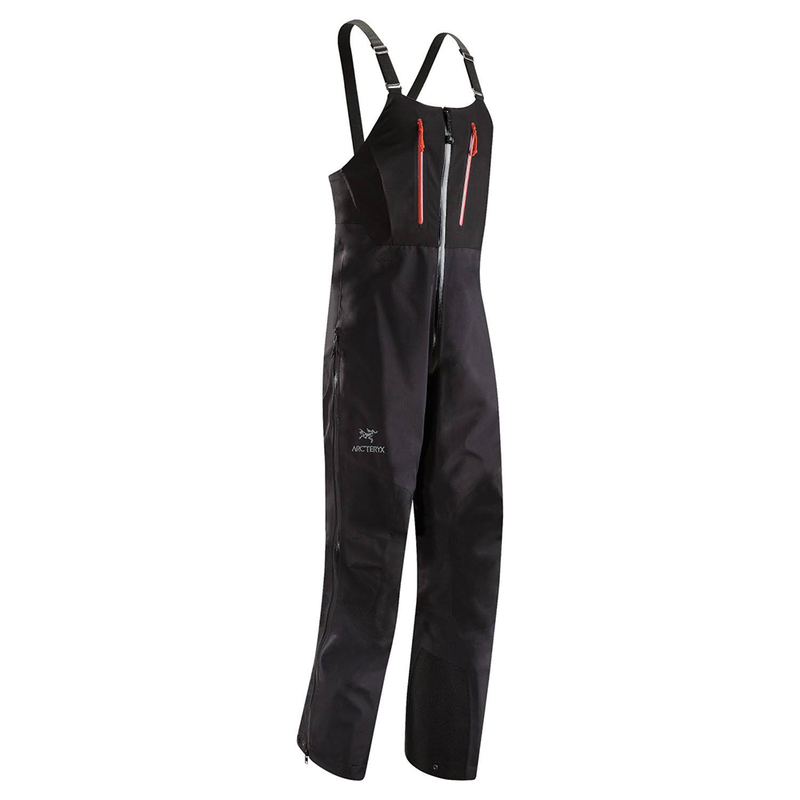 Built for severe weather conditions in rugged environments, the Alpha SV Bib delivers serious alpine performance and hardwearing waterproof breathable GORE-TEX® Pro protection. Constructed from N80p-X GORE-TEX® PRO 3L, a face fabric five years in development, the Alpha SV delivers exceptional durability, yet is supple and resilient. Engineered to shed water, snow and resist abrasion, the fabric’s face utilizes larger yarns that are very tightly woven to create a smooth but highly abrasion resistant surface. Incredibly durable N155p-X GORE-TEX® Pro 3L is used for reinforcement in high stress areas. Features are focused. 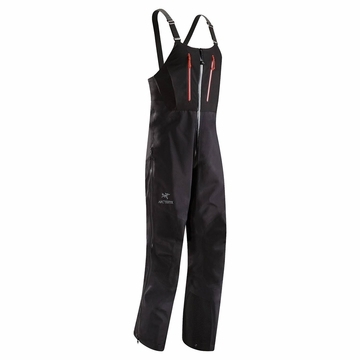 Arc’teryx developed the removable internal LegWrap™ as an effective means of minimizing fabric volume to reduce crampon snags. Keprotec™ instep guards shield from cuts and abrasion, and a bootlace hook helps keep the cuff secure. High coverage in the chest and the back keeps out snow, drafts, and retains essential body heat, and the ¾ length side zips are harness friendly. Two large, easily accessible bellowed chest pockets lay flat when not in use. The crotch zip is harness compatible, minimizing exposure.